This command starts a web server at http://localhost:4200 that allows users to login with their username and password and to get access to their login shell. More details are available in the manual page. shellinabox is not yet in the Ubuntu package repositories so you must download and install one of the Debian packages from the official project page. After install the deb.Navigate to https://yourcomputername:4200 in your web browser. 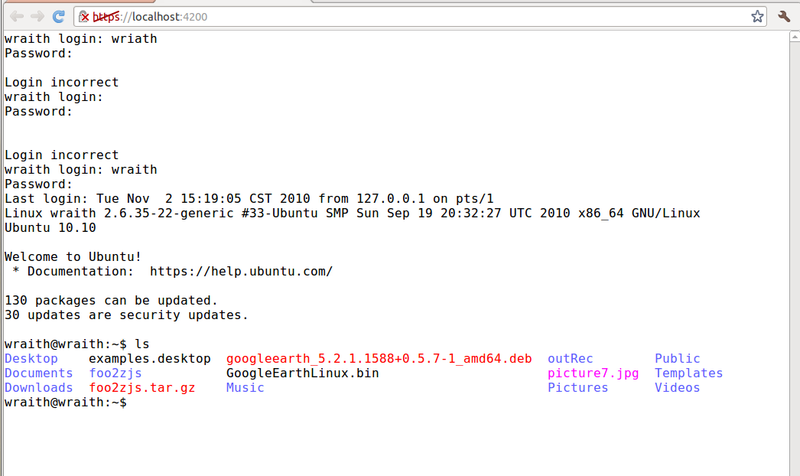 Edit /etc/default/shellinabox so that the default port is 443. Configure your home router to forward TCP traffic port 443 (assuming you followed the above tip) to your computer’s IP address. You can right click on the Network Manager applet and choose connection information to find your computers IP address. Now you can access your computer when away from home by navigating to https://yourpublicIPaddress. You can get your public IP address by going to http://whatismyip.com. To make it easier to remember your public IP address you can register with a Dynamic DNS service. 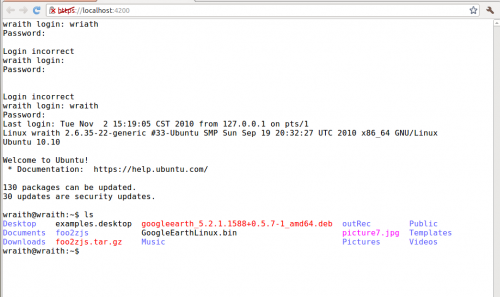 1 user responded in " Access remote Ubuntu using Shellinabox,A Web Based Terminal Emulator "
Thank you very much for the post I have been looking for something like this for ages.